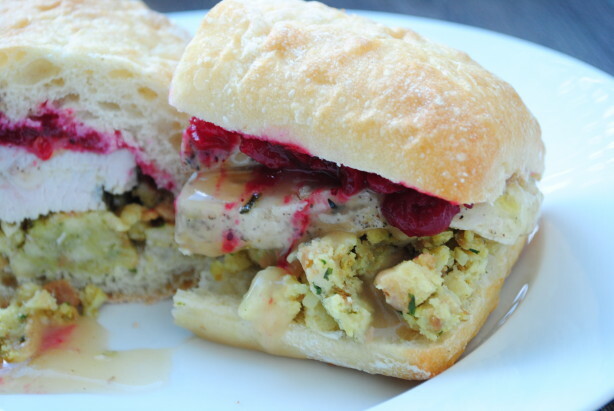 One of my favorite meals of the year is the leftover Thanksgiving sandwich!!! It has it all and can be customized based on your leftovers and your heart’s desire!! No need for a recipe here….just remember to pick up some fresh bread (I love ciabatta) and pile on all of your leftovers. 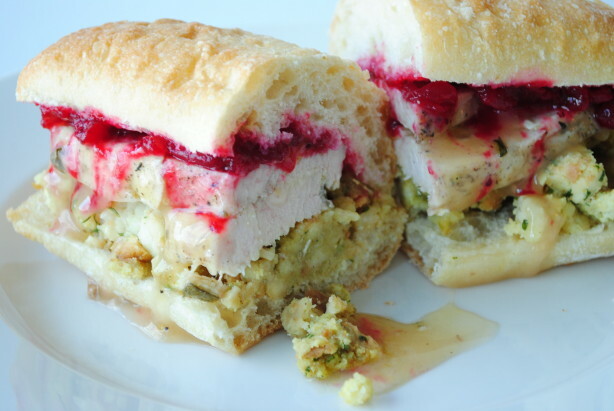 And just like turkey dinner, don’t forget to dress it up with cranberry sauce and gravy! I hope you all had a wonderful Thanksgiving. There is so much to be thankful for! What a great looking sandwich! 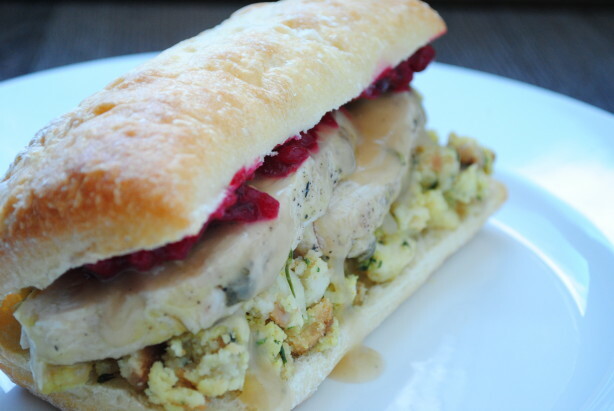 As far as I am concerned, Thanksgiving is all about the leftovers! I hope you had a wonderful holiday.